Please find attached the new hat and body protector rules for 2019. Amendments are shown in bold text. 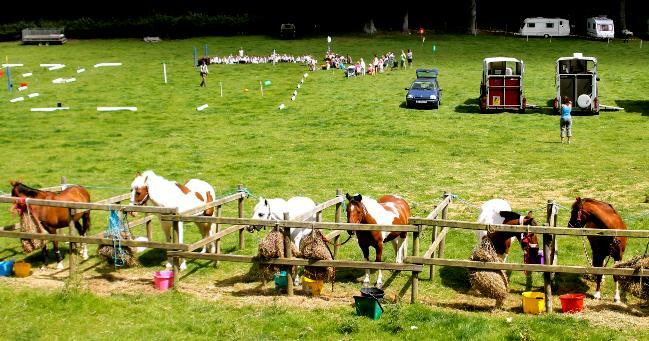 We have been invited to BDS NE Wales (British Driving Society) to watch them train, dressage and maybe some obstacle course. It is at Maelor this Sunday 27th January from 10am until 12pm. You will get the chance to ride on the back of a carriage, so hats and body protectors must be worn. Limited spaces. Cost £5. Contact Jane Grindal ASAP (07890 107492). Please take a look at this website: https://www.dressageanywhere.com/ and if anyone would be interested in participating, let Jane know she can arrange a venue and date (dressage@fndponyclub.org.uk). This is an excellent way to start for those of you who have never done a competition test, and excellent for those who want to improve. At the Pony Club Championship there is a Dressage to Music competition. 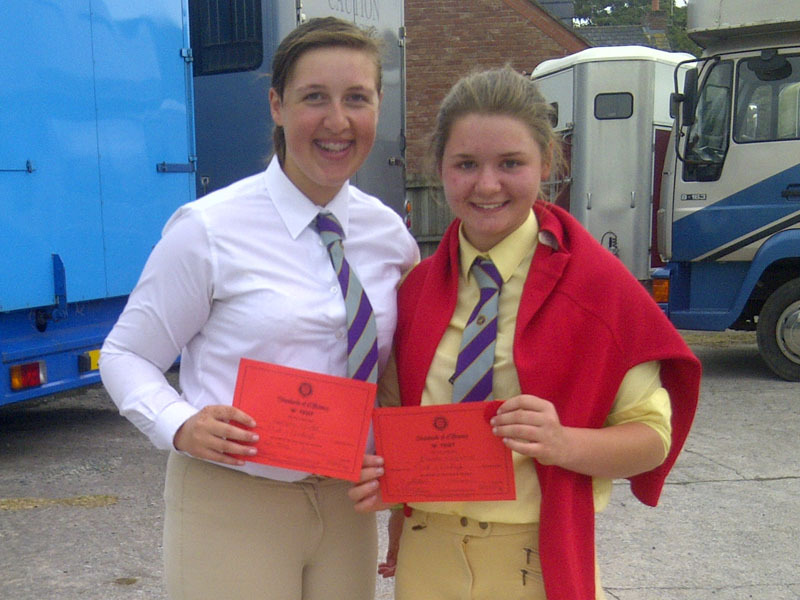 At the minute its only open to Pony Club members who are also members of British Dressage. If anyone would like to put their name forward please contact Jane Grindal (dressage@fndponyclub.org.uk). Steph Bradley has kindly offered to train those wishing to compete. Once again Flint & Denbigh Branch was well represented at the Mold Triathlon with 19 competitors. There was a great atmosphere and team members supported each other. Only one person came home without a prize of some sort. 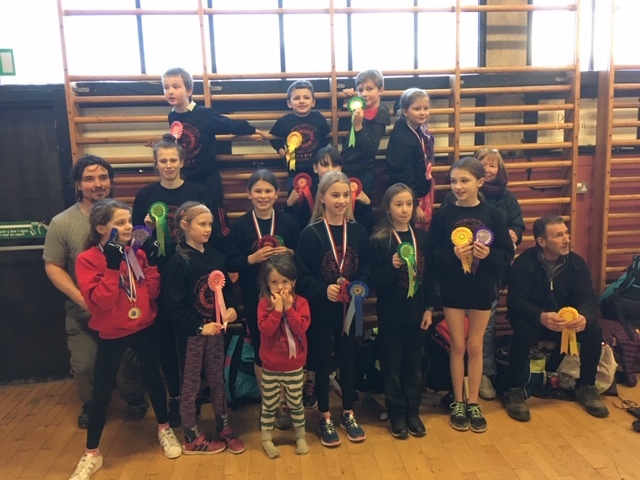 There were 87 competitors and 20 Teams forward, and Flint & Denbigh were 2nd (Daisy Stone, Isabella Stone, Leah Lamb and Neisha Roberts) and 6th (Orla Kissane, Imogen Kissane, Lili Edwards and Eos Newton). Casper Kissane and Macsen Newton were 4th and 5th in the Beanie class. Girls Intro – Orla Kissane 1st with top run and joint top swim. Daisy Stone 3rd with joint top swim and Helen Jones 3rd. Boys Intro – Iolo Griffith 3rd. Mini Girls -Leah Lamb 1st with top swim, Isabella Stone 2nd, Constance Wight 3rd with joint top shoot and Lili Evans 5th with joint top shoot. Jun Girl – Neisha Roberts 3rd with an amazing run and Imogen Kissane 4th. Senior Girl – Orlagh Toner came 3rd. Geriathlon – Gerallt came 2nd with all 3 scores in the 900’s and Chris Wight came 4th. Neisha’s sister Kirsten and her partner Lloyd also competed complete with Baby. All very exciting. Well done all.